Banaras: where the juice of life (rasa) is always ready (Bana) ! This 'life-juice' flows in plenitude herein different colours, varying tones, multiple textures and layers, diverse situations, contrasting conditions, etc. It is the blending or 'mixing' of these which makes the mosaic of culture known as Banaras, the city of Lord Shiva. Shiva's liquid energy flows in the form of the Ganga river, and He is represented in the iconographic form of lingas. The residents of Banaras believe that Lord Shiva and his associates live invisibly in the rhythm of this city, and that only the enlightened ones can experience and reveal this. Possessing the spirit of divinity, the myths and traditions have maintained the vibration of life in this city since time immemorial. Of course, archaeologically it has been proved that since c. 1000 B.C.E. the city has continuously recorded human habitation; that is how the city is known as one of the 'oldest living cities in the world'. Once Mark Twain (1898) said: "Banaras is older than History, older than tradition, older even than legend and looks twice as old as all of them put together". Banaras is not the story of bricks and stones; it is in fact a living History in itself. During 11th-12th century C.E. the city was destroyed at least four times by invaders. However, it survived and was repeatedly revived; the sites and holy spots were re-searched, the monuments were re-paired and re-built and the spirit was again re-awakened to re-unite with the primordial. In this way the eternity of life has survived in spite of several 'superimpositions' or attempts to submerge it. City of right, where all the human deeds are righteously assessed by the patron deity Shiva, who then blesses and curses accordingly. The Kashi Khanda (35.10) says that "The Ganga river, Lord Shiva, and the divine city of Kashi make the Trinity of grace and perfect bliss". This sentiment attracted people from all parts of India to settle down here and to make their own world, resulting in the creation of a vast cultural mosaic. The Trinity is symbolized by the three hillocks as the three forks of Shiva's trident on which the city exists, viz. Omkaraeshvara, Vishveshvara, and Kedareshvara. Blessed by Lord Shiva, Bhagiratha brought the goddess Ganga upon the earth, who provides vital life to Kashi as to the wide range of plains. The mythical figure Divodasa became a divine king of the city, but finally handed it over to Shiva. Lord Shiva left Mount Kailash and settled here in variety of forms. There are more than three thousand forms of Shiva lingas. By Shiva's power the city has grown as a seat of knowledge. 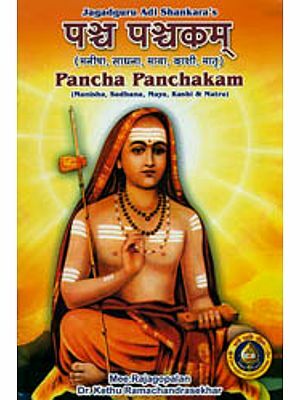 Over fifty Sanskrit schools are still preserving the ancient traditions. Many other educational institutions have grown up here as well. Presently there are six universities, among which Banaras Hindu University, Sanskrit University, and Institute of Tibetan Studies are the best known. There also is an Islamic University, Darulilam Safia. The spiritual magnetism of Banaras had attracted Buddha to come in the sixth century B.C.E. to 'Turn the Wheel of Law'. By the turn of third century B.C.E., the great Buddhist king Ashoka had built a monastery township which flourished till eleventh century C.E. Later, due to fire and destruction by the Mughal invaders it was transformed into ruins. Time took a turn; presently in a new set-up Sarnath has become a place of pilgrimage for Buddhists, and a place of spiritual tourism for the rest. The sense of holiness has attracted to Banaras people from various sects like Vaishnavites, Shaivites, Tantrics, Buddhists, Jains, and even Muslim Sufis. For many of the adherents, this is a special place of pilgrimage. The city is also known as the 'City of Good Death' and the place where ancestral souls could gain final release. The fires of cremation remind one of eternity, and Lord Shiva whispers the sacred verse of liberation to the souls of the dead. Along the ghats (stairways) pilgrims perform ancestral rites to the Ganga and give donations, a rite by which they are said to get 'reservation' in Shiva's heavenly abode-not only for their own soul, but also for the wandering souls of their ancestors. For the living there are many varieties of monasteries where one can satisfy his/her spiritual quest. The annual performance of Ramlila ('the theatrical form of Ram's acts') is a special series of the cultural performances. Ramlila takes place at least at eighty places and is performed for a period of ten to thirty days. The last day is a day of carnival when demon Ravana is killed by Rama. At the end the long-separated brothers are reunited,; this is a spectacular scene observed by at least half a million of devout people. Similarly are also held lila performances related to the lifes and acts of Lord Krishna, Narasimha, and Vamana (the incarnations of Vishnu). Lord Rama's assistant Hanuman ('monkey-god') and Shiva in his angry form Bhairava are respectively known as the administrator and protector of the holy city Kashi. Yet another form of creative activity in Kashi is body sculpting, inspired by the strength and dexterity of Hanuman who is also the god of the wrestlers. Daily in wrestling pits (a'kharas) around the city, devotees engage in this physical form of meditation. The 84 ghats along the arc-shaped Ganga symbolize the integration of 12 signs of the zodiac and 7 sheaths of the body, (as 12 X 7=84), of which five are of special merit, viz, Asi, Dashashvamedha, Manikarnika, Panchaganga and Adi Keshava. Yet the whole stretch of the Ganga provides shelter and means of livelihood to thousands of people, such as boatmen, ghatias (priests at the ghats), sellers of ritual items and flowers, and tourists too. The sun-rise at the bank of Ganga provides a scene of transforming colourscape. Every morning around twenty thousand people take a holy dip, but the bathers number near to a million on special occasions like the full moon in October-November (Kartik Purnima) and on solar and lunar eclipses. The natural setting, the spirit of the place, and the continuity of cultural traditions have all blended together to create and preserve a unique musical tradition, known as the Banaras Gharana (style). Many great musicians and performing artists have been born here and still regularly return to visit and to perform their art for the public. Layers of time and traditions are superimposed one upon the other but the essence of the life has remained. Recently some of the old festivals have been revived in the original style, despite some modern touches. Ultimately, Present makes both past and future. 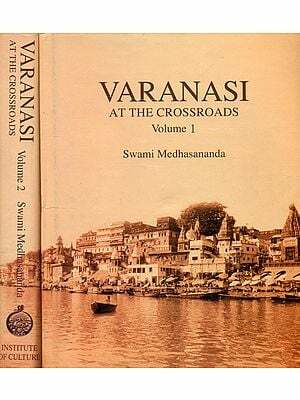 and author of many books on Banaras.